BoxBilling ships with solusVM extension by default. It can be enabled in Extensions > Overview page. Once you have enabled extension you will be redirected to SolusVM configuration page. 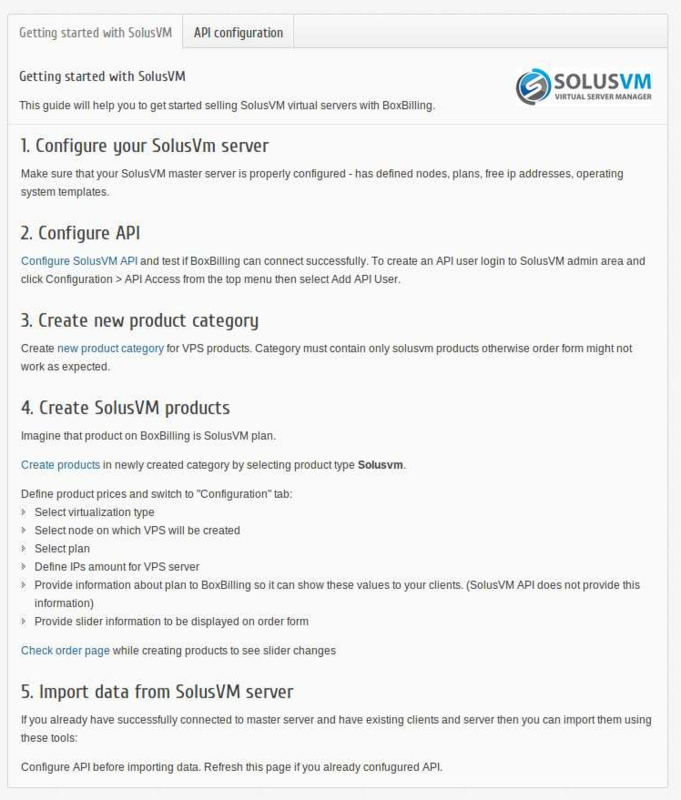 To create an API user in SolusVM click Configuration >> API Access from the top menu then select Add API User. When BoxBilling is able to connect to your SolusVM master server you can start configuring BoxBilling products. Disable IP checking after API user is created if you are not sure what IP address will be used to connect to SolusVM master server.